Throwing a party over the long weekend? Or just need a little something to jazz up your cookout? 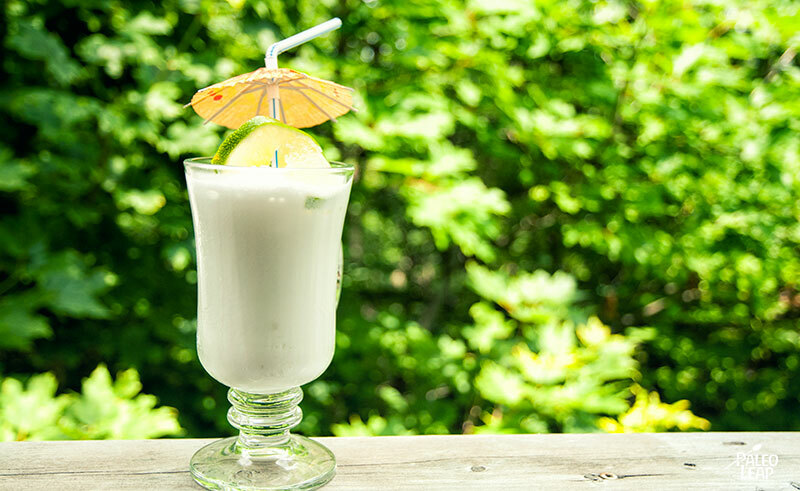 Here’s a perfect Paleo-friendly refreshment: tropical flavor and plenty of ice, with as much honey as you like to get your favorite level of sweetness. Kids will love this just as it is, but if you’re serving adults, you can also enjoy it with a dash of your favorite alcohol (vodka and rum are both good choices, or pick anything else you like). Just add 1 ounce per serving and mix it in well. Alcohol is very much a gray area when it comes to Paleo, but a small serving every now and then can definitely fit into an overall healthy lifestyle – and if you’re going to drink anyway, this is a lot better than beer or cocktails. Of course, if you choose not to drink, the limeade is delicious without any booze at all. If you need a sweet snack to go with it, try this citrusy fruit salad, or maybe some chocolate nut granola: nobody will even miss the standard bowl of chips and pretzels. And then sit back with your drink, put your feet up, and enjoy! Place all the ingredients in a blender, and pulse until smooth. 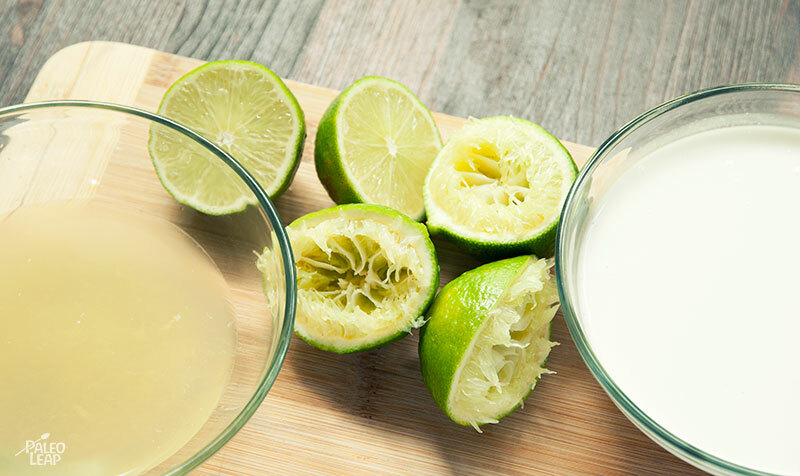 Pour into serving glasses and garnish with lime slices. (optional) Add ½ to 1 oz. of alcohol to each glass and combine well.